There are many choices of vegan protein bars with luscious flavors ranging from chocolate to dulce du leche. The trick is choosing one that offers the right balance of protein and carbohydrates from vegan sources to satisfy and energize you. Many protein bars contain whey, a byproduct of the dairy industry. Because that's unacceptable to vegans, plant-based protein sources are used to create vegan snack and protein bars. The most common ingredients that provide protein are soy (including soy isolates) and nuts. If you're allergic to nuts, be careful when selecting bars. Even if nuts aren't the main ingredient many protein bars use nuts as toppings or fillers to increase protein count. The average protein bar has 8 to 10 grams of protein per serving. Some also contain a high amount of sugar which significantly increases the carbohydrate quotient. Comparing the ratio of protein to carbohydrate in the bar can help you choose one that's more balanced. 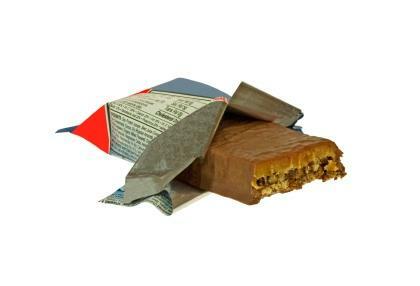 Sometimes protein bars have as much sugar as a candy bar, and even natural sugars in that quantity aren't good for health, if eaten regularly. Read labels and know what constituents a vegan product. Clif: Clif is the gold-standard for protein bars and a company recommended by many bodybuilders, including vegan bodybuilders. There are only two companies on the market that produce protein bars with 20 grams or more of protein per serving, Clif and Organic Foods Protein Bars, and Clif may be easier to find. 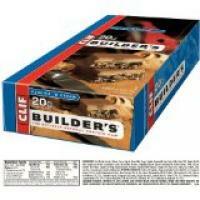 Clif also manufactures the Luna bar, another popular animal-products free protein bar recommended by vegans. Larabar: Larabars are gluten-free and filled with fresh fruit and nuts. The company website claims the bars are gluten-free, vegan, and soy-free. The plant-based ingredients are also non-GMO, making them ideal for people concerned about food quality. Each bar is made from eight or fewer ingredients, making these about as pure a food as any nutrition bar you can find on the market. Protein count varies from bar to bar, so check labels to find the highest protein bar available. NuGo Organic: NuGo stands for "nutrition to go" and each bar packs nutrition into each and every crunchy-sweet bite. The company offers organic bars as well as bars suitable for a raw, vegan diet. Nuts and soy protein typically provides the high protein count in most NuGo bars. The SmarteCarb and Organic lines have the most protein, around 10 grams in each bar. Most people seek vegan snack or protein bars for convenience. They make an easy, portable and healthy snack when traveling, for example. Airlines offer vegetarian meal options but some do not offer vegan options, and it's tough finding vegan and raw food choices in airports. Carrying a few Larabars or NuGo bars can help avoid hunger pangs if you're on the go. Protein content: Most vegan bars use soy or nut protein, with nuts the predominant source. Natural sweeteners: High fructose corn syrup is vegan, but it's not a particularly healthy choice. Look for bars sweetened from fruit sources such as raisins, dates or other dried fruit. Organic ingredients: If choosing organic ingredients is important to you, then look for companies promising organic ingredients and noting the source of their ingredients. Vegan protein bars may be found in supermarkets such as Whole Foods, health food stores, and even major grocery stores such as Kroger that carry natural foods. Look for them in the natural foods aisle. You can also purchase them by the case from online distributors.